This year I am a participating Artist in the Global Art Project for Peace. Artists are being paired up from all over the world to exhibit and exchange their vision of world peace. Here is mine, which I called: Blanket of Love, Raising Consciousness. 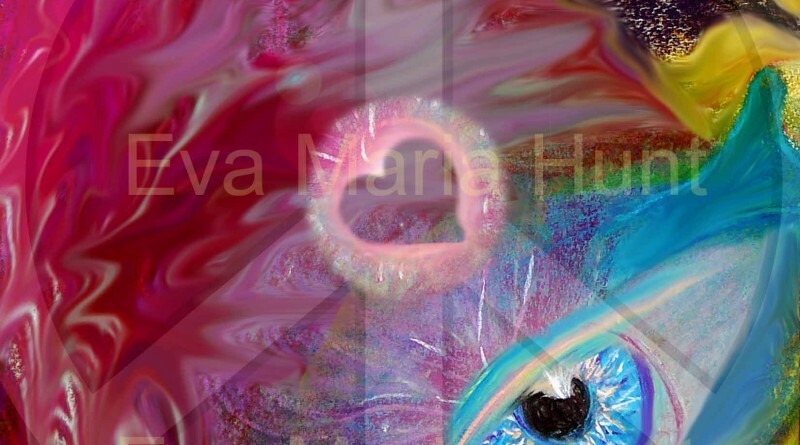 I am Eva Maria Hunt Energy Therapist, Artist and Law of Attraction Practitioner. I believe that saving the planet and humanity starts on a personal level, and I have been working towards this by helping to raise human consciousness for 5 years now. 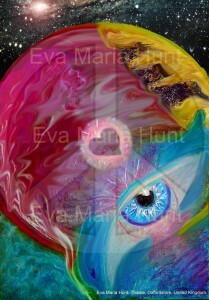 I do it “peace by peace”, through energy healing, my art and teaching people in many ways about their hidden potentials. After recent attacks on innocent people in France, Belgium and now Pakistan I read many comments about people not getting emotional support, compassion, love in certain parts of the world for their loss. I believe it’s wrong, everyone deserves emotional support and compassion, where ever they live on Earth. So I would like to share a beautiful visualisation to send love to all beings on Earth. 1. Sit down, take a few deep breaths and Have the intention of sending love to all beings on Earth. 2. Focus on your heart centre, and think about someone you really love. 3. Feel the love, and imagine it as a gorgeous Pink bubble of light, which is constantly growing. 4. Let it grow as large as the room you are in, then the building, your town, your country… and the Pink bubble of love is still growing until it takes in the entire planet. 5. Now see with your mind’s eye the Earth in this Pink glow of love. 6. The love now is being absorbed by the air, the waters on Earth, the plants, animals, and human beings. 7. See them all being loved, happy and living in peace together. 8. Use your own mind for seeing vividly this love in your way. 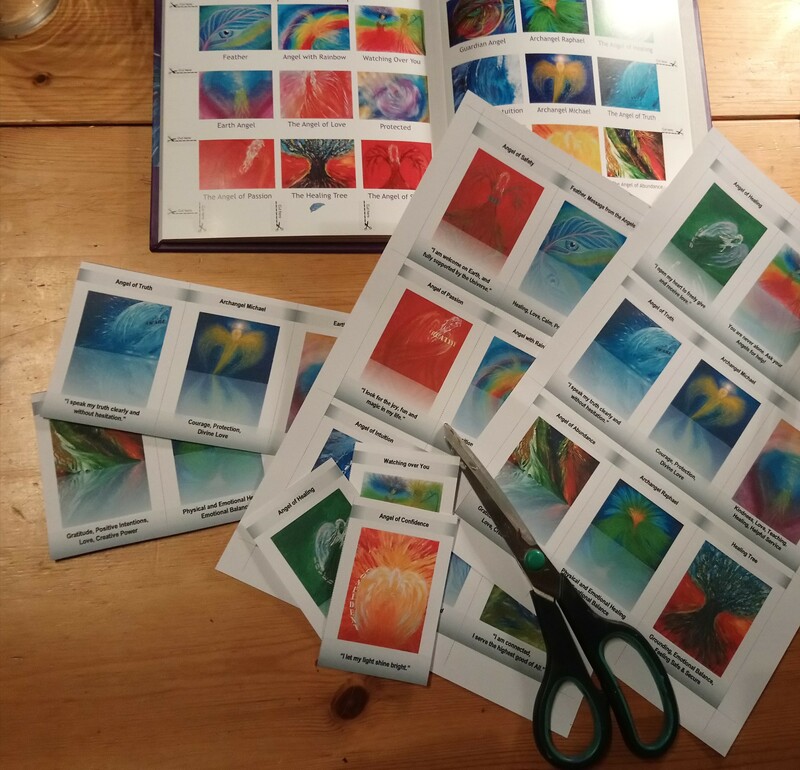 If you find it hard to imagine, look at my artwork, which I created for the Global Art Project for Peace, as the angels help spreading the blanket of love on Earth. You can use this visualisation daily to send your loving intention for Peace on Earth. – Artwork: Blanket of love, Raising Consciousness by Eva Maria Hunt-was Szanto, Energy Therapist, Artist.